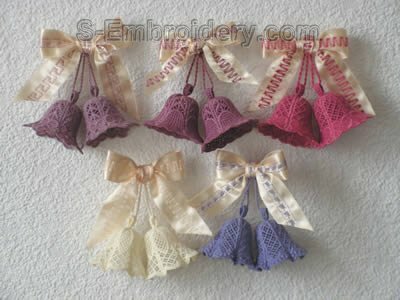 This machine embroidery designs set is a part of our new and unique collection of 3D free standing lace bells. 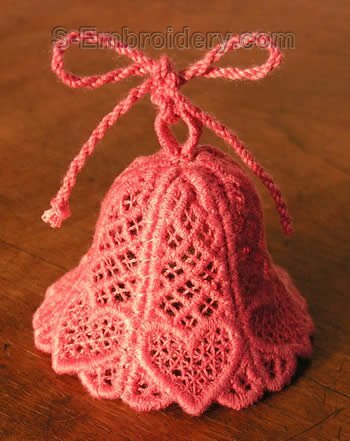 The designs in this collection continue the all components in one hoop concept we introduced with the very successful freestanding lace baskets. 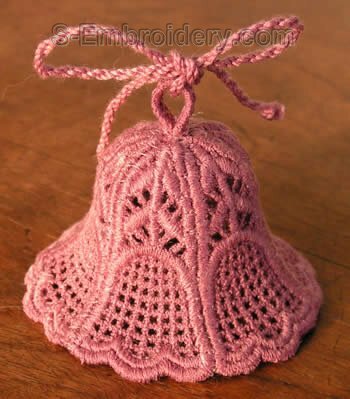 These 3D freestanding lace bell fit in 4 x 4 (10 x 10 cm) hoops. 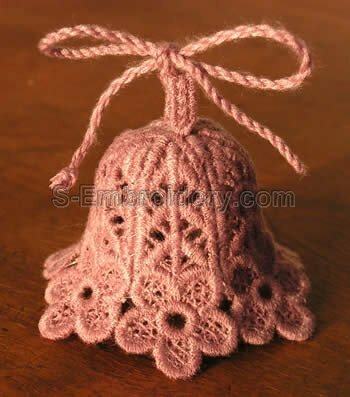 The dimensions of the finished 3D lace bells are as follows: diameter: approx. 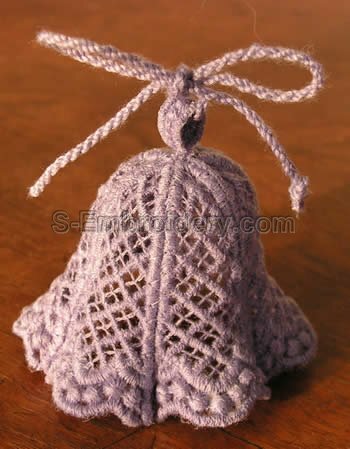 2.17 inches (5.5 cm) and height: 1.97 - 2.17 inches (5 - 5.5 cm).